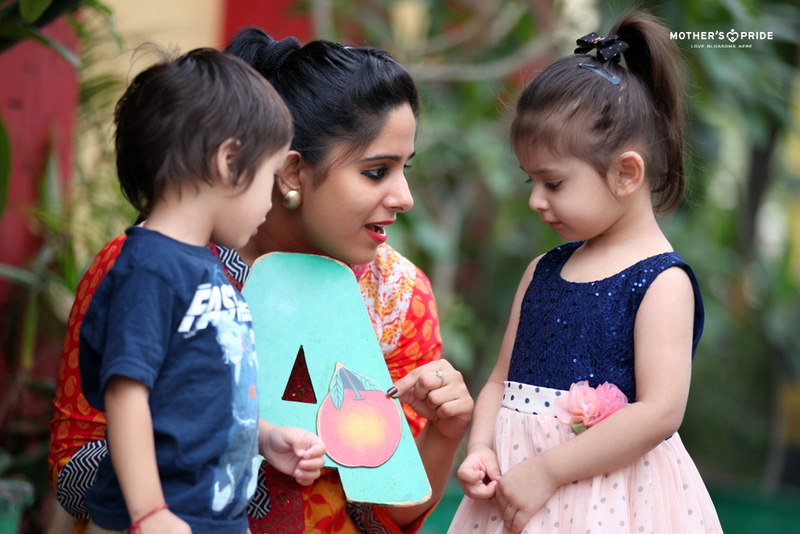 The Teaching Learning approach at Mother’s Pride is based on the objectives of The Early Childhood Education Programme. 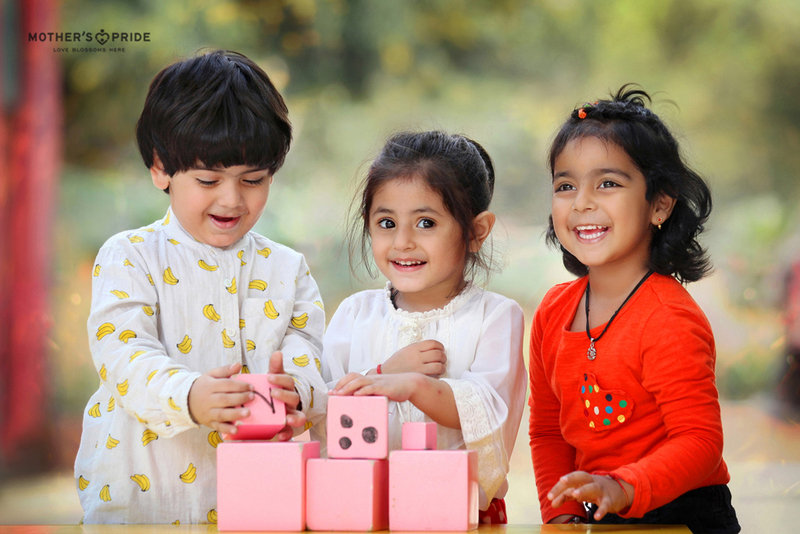 ECE is a child oriented programme that follows the activity, integrated or playway approach and aims at providing a stimulating environment for intellectual, language, social, emotional and physical development of the child. It provides school-readiness for the child and prepares him with necessary concepts and skills for later learning of reading, writing and mathematics in primary grades. To develop in a child, good physique, adequate muscular coordination and basic motor skills. To develop in a child, good health habits and basic skills necessary for adjustment. To develop social attitudes and manners that encourage healthy group participation. This way their emotional maturity is also attained through which they can freely express themselves. To stimulate intellectual curiosity so as to help him understand the world around him. 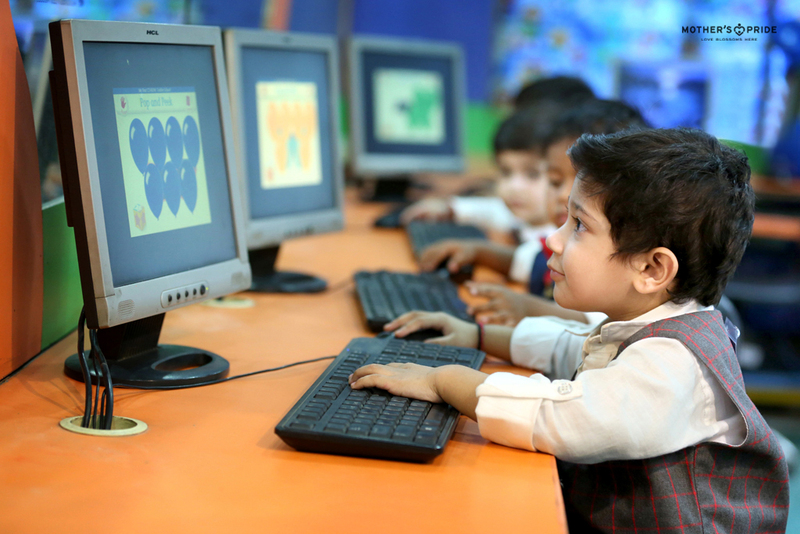 This approach follows the learning by doing methodology. The key principles of ‘Learning by Doing’ are Involvement, Participation and Contribution which certainly have a longer impact on the child’s brain when it comes to development. We provide the children real life experiences through special activities that include thinking, conversation, movement and creativity. 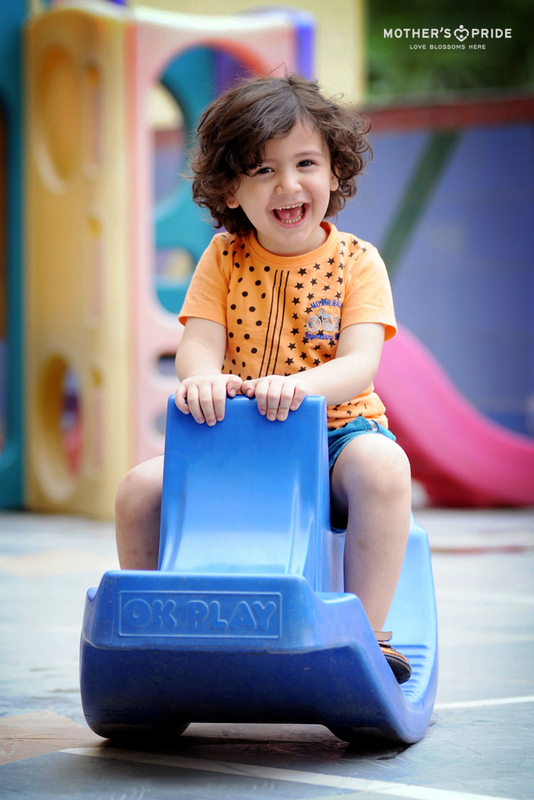 The playway method is essentially child-oriented and caters to individual needs, interests and abilities. Play is second nature to a child. It serves as a natural way for them to explore, express and involve with the world around them. Therefore, this approach supports the all-round development of a child. The experiences in this approach also make the child an active participant and not a passive recipient in the learning process. For Example: To learn about the fruit apple, they first see, touch and taste it. Then understand it through a 3D picture of it and finally move on to learning the world ‘Apple’ or reciting a story about it. 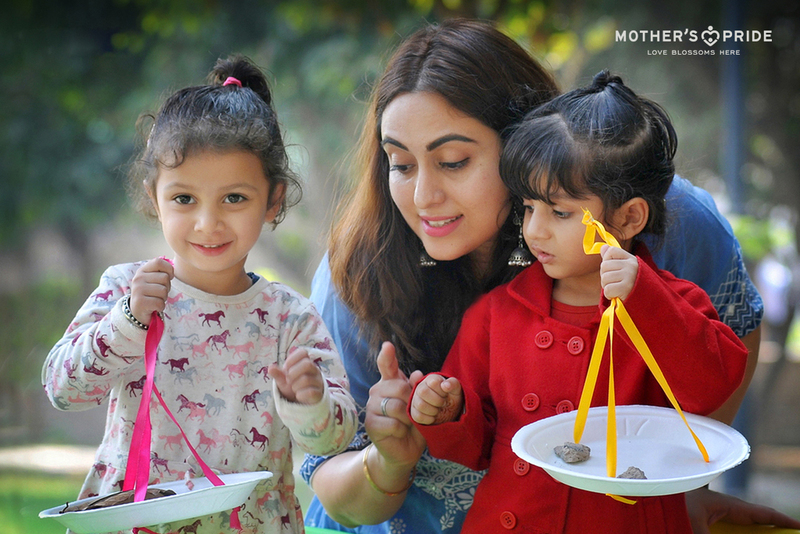 The childhood of every Prideen should be no less than a carnival of good memories, love and enjoyment and we, at Mother’s Pride ensure they get ample opportunities to run, play and simply be themselves! Natural growth occurs best when children have lots of fun. And, all that fun happens at our splash pool, rain dance, doll house and the most colourful play area. Gross motor skills mean developing control over the movements of the large muscles of the body. Activities like walking, running, swinging dancing, etc ensure that the students can get a good control over their body. 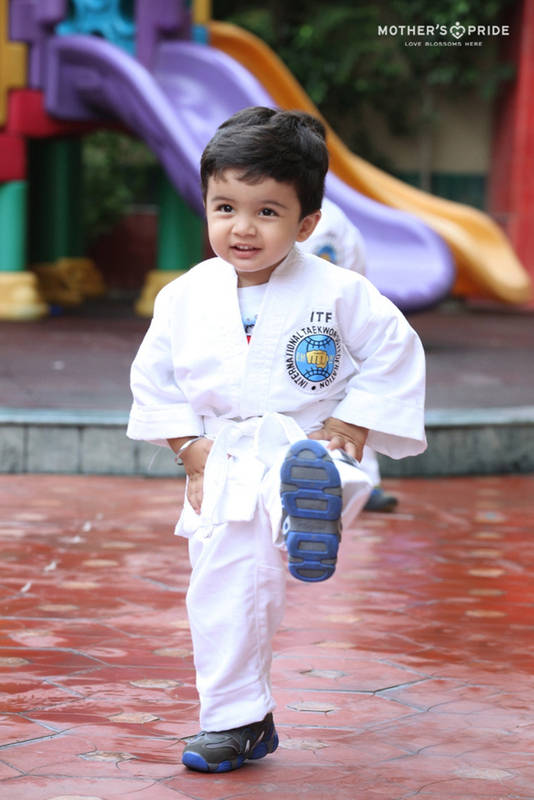 Prideens also love their energtic taekwondo sessions wherein they learn perseverance with their kicks and punches. While, they enhance their flexibility during the peaceful yoga time. We also organise an annual Sports Day wherein our budding sportsmen participate in different competitions which include racing, rabbit jump, etc. Fine motor skills mean developing control over the movements of finer muscles, particularly finger muscles and hand-eye coordination. 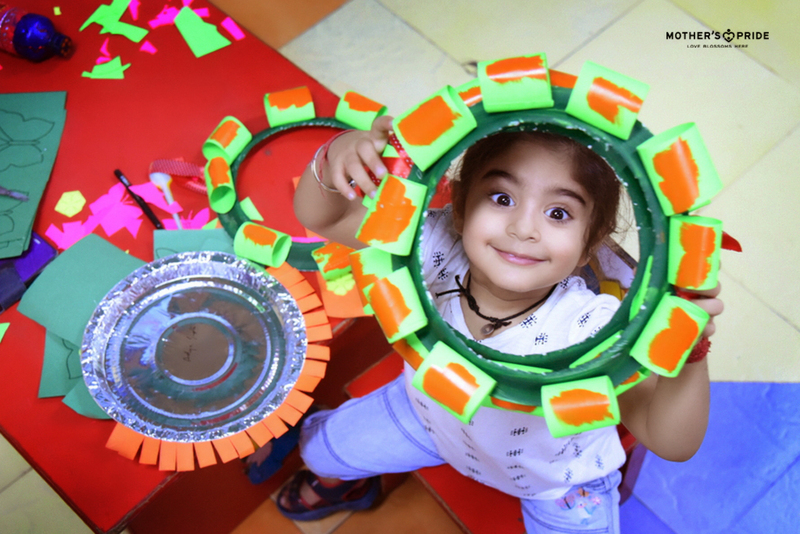 Activities like art & craft which include drawing, colouring, pasting as well as paper folding, thumb printing, pattern making, clay moulding and beading ensure a control over their fingers and also attain a perfect hand-eye coordination in a fun way. The IQ of a child just doesn't depend on the genes alone, but the opportunities he/she gets to use his mind. 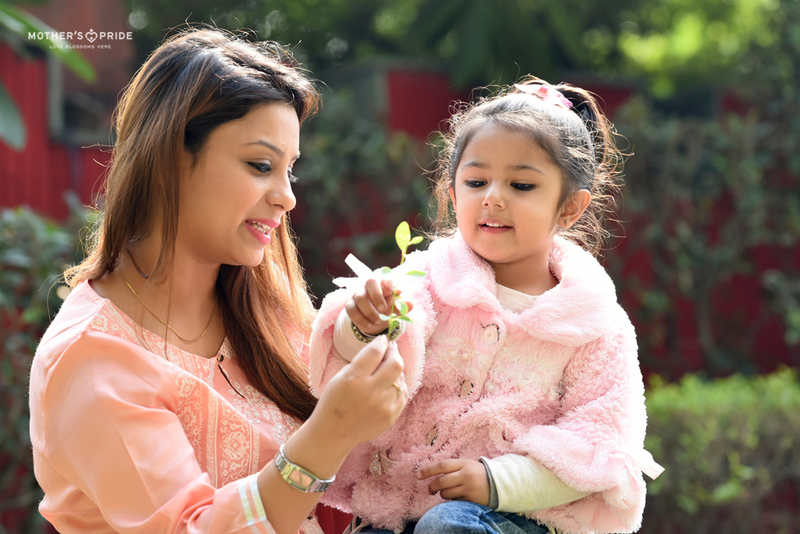 Children between the age of 2.5 to 5 years are at a stage of cognitive development when their thinking is governed by their perception and they learn through first hand experience of the environment. Children at Mother’s Pride are given opportunities to learn how to be analytical so that they can successfully deal with life situations. The development of the five senses, i.e, seeing, hearing, touch, smell and taste is basic to the process of knowing and understanding. The more varied and extensive the sensory experiences, the broader will be the child’s base for forming ideas. Our sound boxes, touch & sniff boxes, audio-visual aids, smell tray and tasting kits help the Prideens get a grip on all five senses with ease. Who doesn’t love puzzles and block towers? 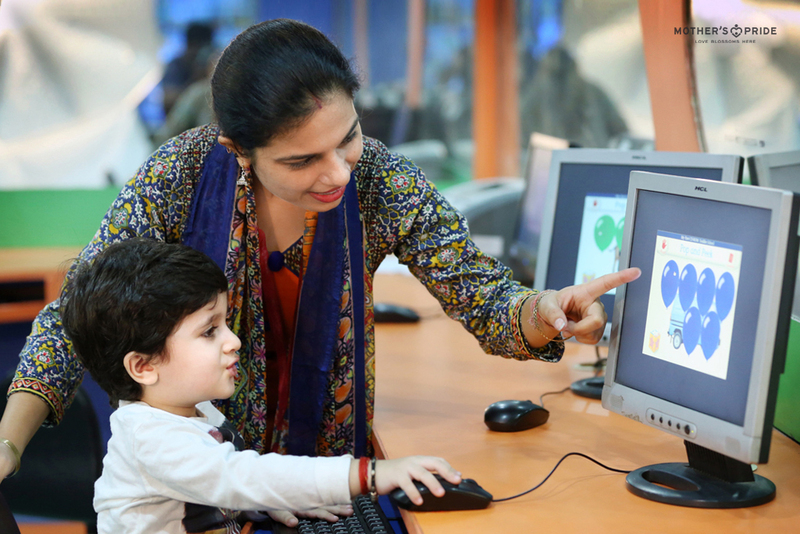 At our intellectual development centre, the children learn through an integrated approach with our self designed teaching tools. 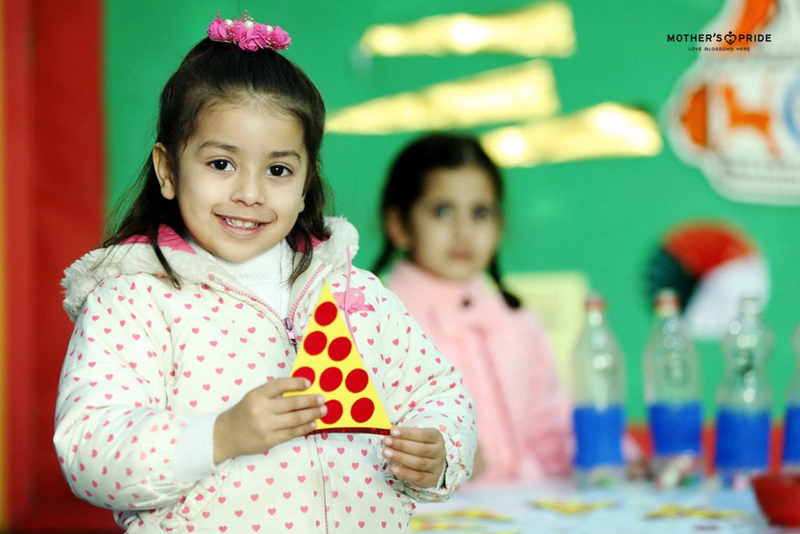 They are encouraged to find solutions to diverse challenges such as solving picture puzzles, building a seriation tower using their own logic, learning tens and units of mathematics through a ‘Ganit Mala’, etc. 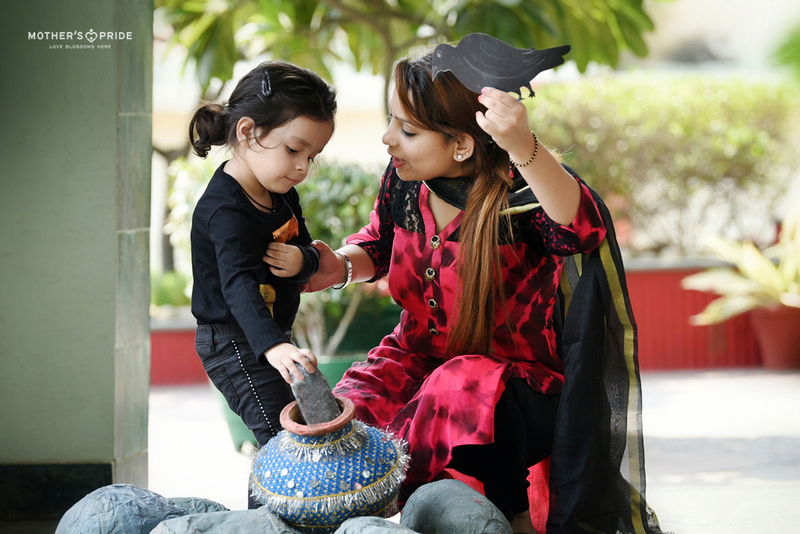 For holistic development, it is crucial that different concepts are clear to the students. They should be able to observe, discriminate and categorise different objects in their environment and progress from ‘perception bound reasoning’ to ‘logical reasoning’. 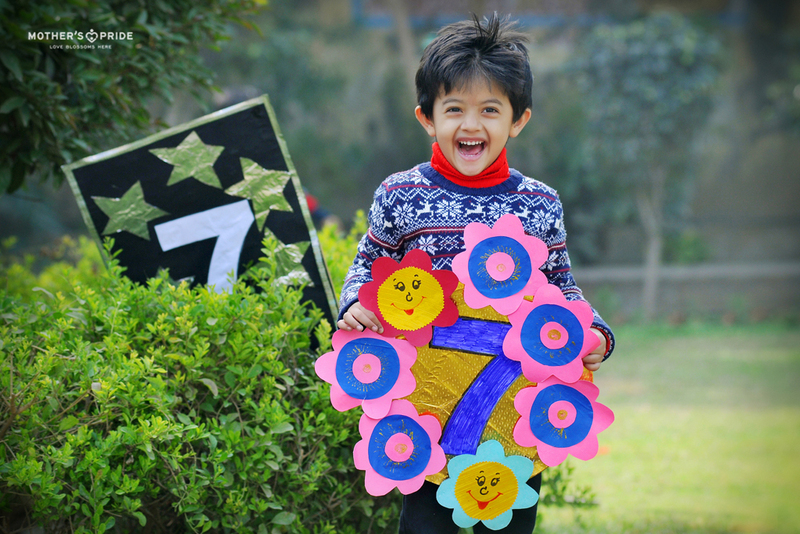 To achieve this, we host specials days that introduce a particular concept to the students, such as, ‘Colour Blue Day’, ‘My Favourite Cartoon Day’, ‘Introduction to shape Triangle day’ or ‘Introduction to numbers’ as a part of development of prenumber concept. Different activities are conducted on these days to help them match, identify, name, compare and classify the objects. We also follow a monthly theme which are an amalgamation of all these concepts. What good is knowledge that cannot be expressed! Language learning provides the foundation for all later learning. By the time children enter pre-school, they are already using a language at home. 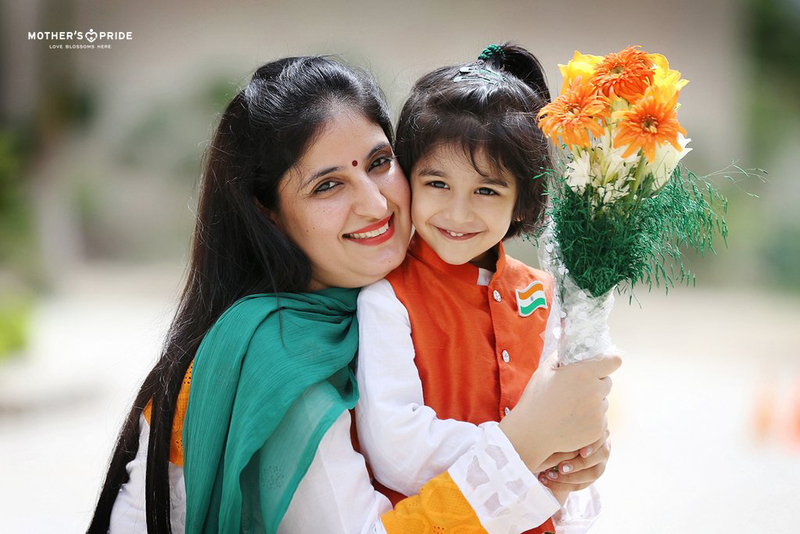 Mother’s Pride gives them the right experiences and environment to increase their vocabulary steadily and rapidly. We organise a circle time as a part of our daily schedule as well as conduct story-telling sessions and show the students, cartoon movies to develop their listening skills. During these sessions they also learn sound discrimination such as ‘voices of different animals’ or the sound of clapping, etc. To help them develop an ear for phonics, we conduct many activities using our our phonic card box. 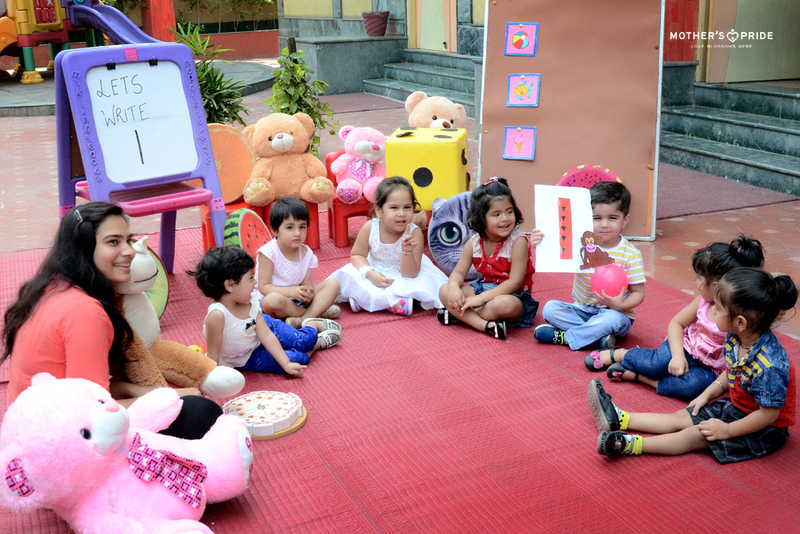 The children are indulged in fun conversations and action rhymes to introduce them with the vocabulary related to their body, home and environment. 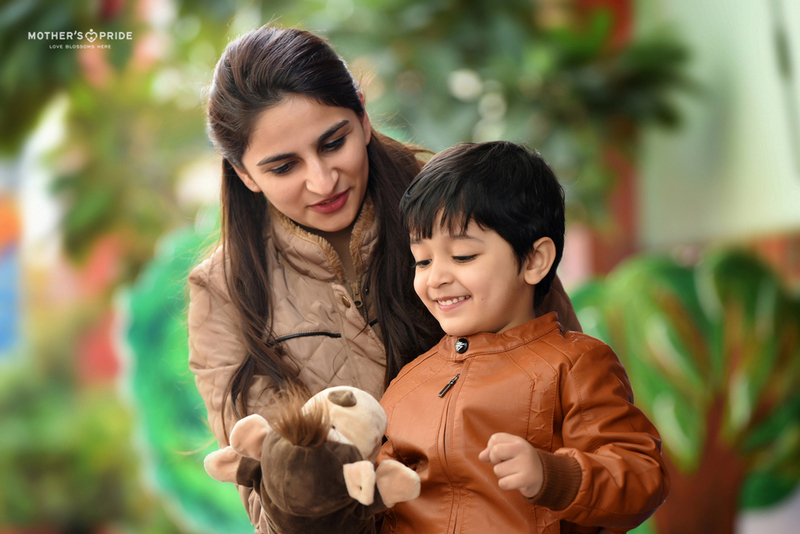 Picture reading cards, role play and dramatization are also used as a medium to enhance their vocabulary when it comes to the socio-emotional scenario. Free conversation is the first activity after welcome and arrival activities. Children have a lot to express about what happened at their homes after they left school the day before. They are given absolute freedom to share their experiences and talk about anything they want. This way they learn to create sentences and use correct grammar. Show and tell is yet another activity which enhances their oral expression. Here is when our specially designed curriculum books come into picture. Through the visuals in the books, the children learn to identify objects as well as situations. Special introduction to letters activities are also conducted so that they can gradually identify letters and words mentioned in the book. Before children write, they need experience in handling crayons and pencils. 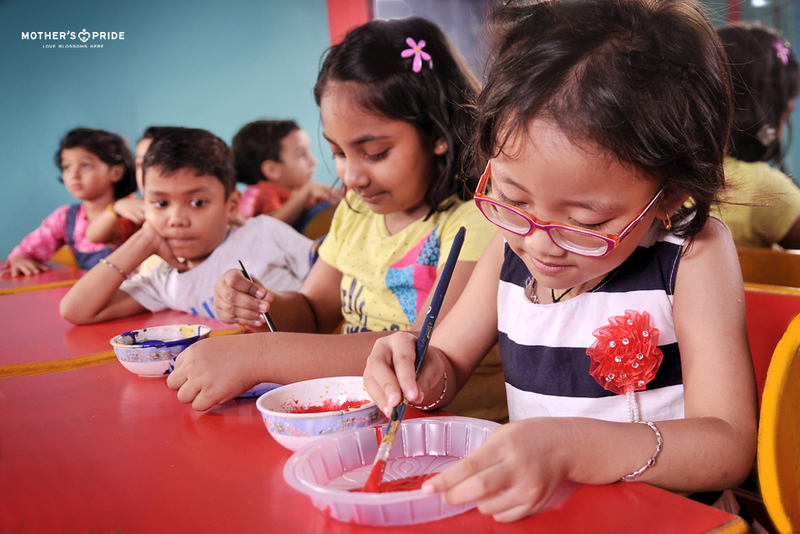 Thus, initially, they are indulged in drawing and colouring activities wherein they develop the skills of making controlled visual motor movements. Later on, they move on to joining dots, tracing, copying forms and making patterns similar to the letters of the alphabet. Each child has his/her own unique ‘Personality’ which is the outcome of inheritance, social/cultural groups, different sorts of interactions, regular appreciation and exposure. 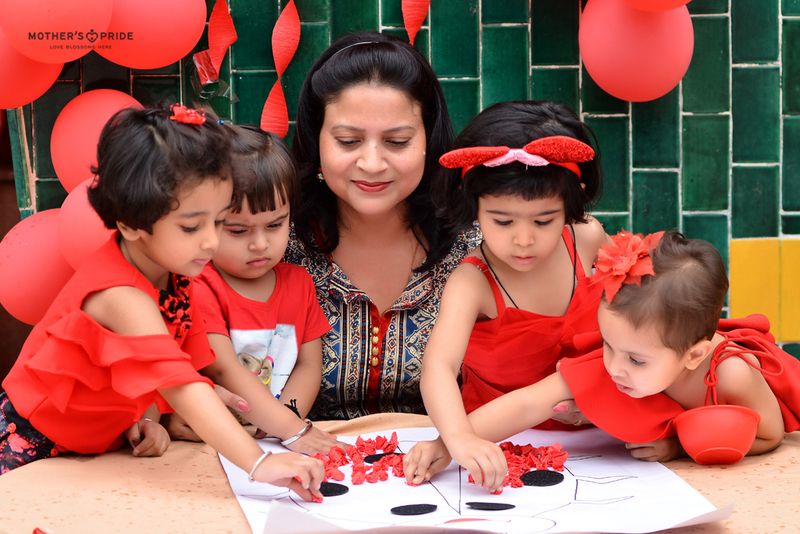 Mother's Pride provides the right kind of peer group which forms the learning ground for the child about right behaviour, friendship, sharing. Development of Positive Self Concept and Qualities of Initiative Independence and Leadership. This is achieved by creating a sense of individuality in them through name cards or even celebrating birthdays in school. Qualities of leadership are gained when they are given responsibilities such as maintaining a straight line. In group activities, they also take on the lead role of reciting a story or while playing a game. 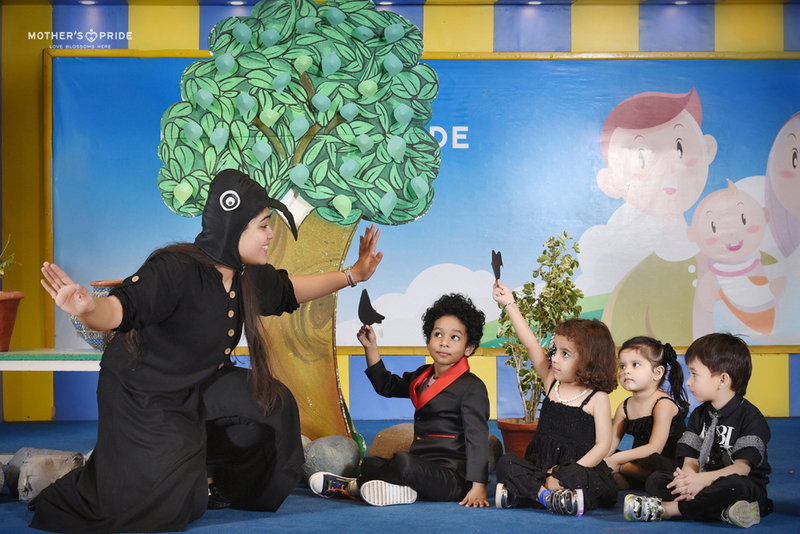 We regularly conduct story-telling sessions and puppet play that carry relevant messages of good habits. Picture cards of good and bad habits are also used to educate the children. As a part of the routine, they are asked to wash their hands before meals, visit the toilet during breaks, organise play material back in the racks after playing, etc. As a part of the confidence building process, we organise many activities and events such as recitation competitions, fancy dress, fashion show, role play, class presentations and appreciation day. When they get an opportunity to perform in front of an audience, it automatically increases their confidence level. During the circle time, the students are indulge in interactions with their peers and teachers. They get a chance to freely express themselves, listen to others and exchange opinions. Their inquisitive minds are also addressed as the teachers are always willing to provide them with all answers and listen to their queries patiently. Lunch time is also a great way to encourage bonding between the peers as they learn to share their meals. We also believe that children’s curiosity and interests are stimulated when they interact with people, places, communities and the environment around us. To achieve this, we take them for picnics and excursions. 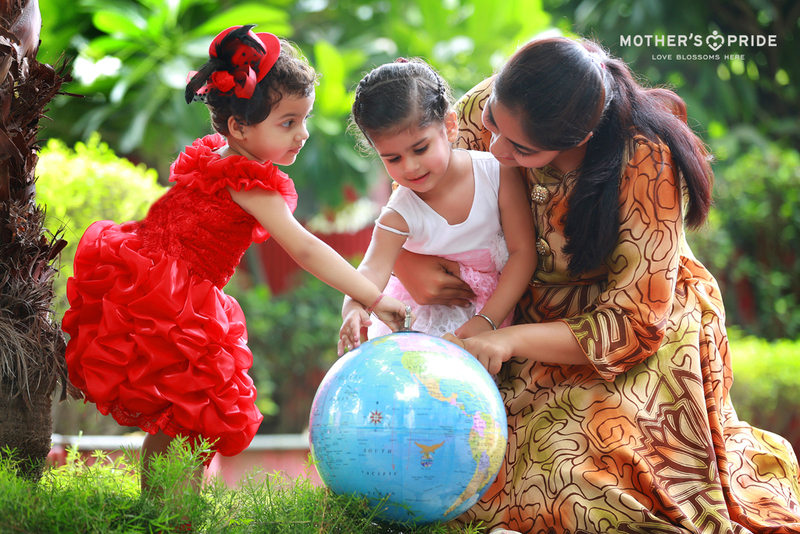 Our aim at Mother’s Pride is to create responsible global citizens. To become so, they need to be environmentally conscious as well. 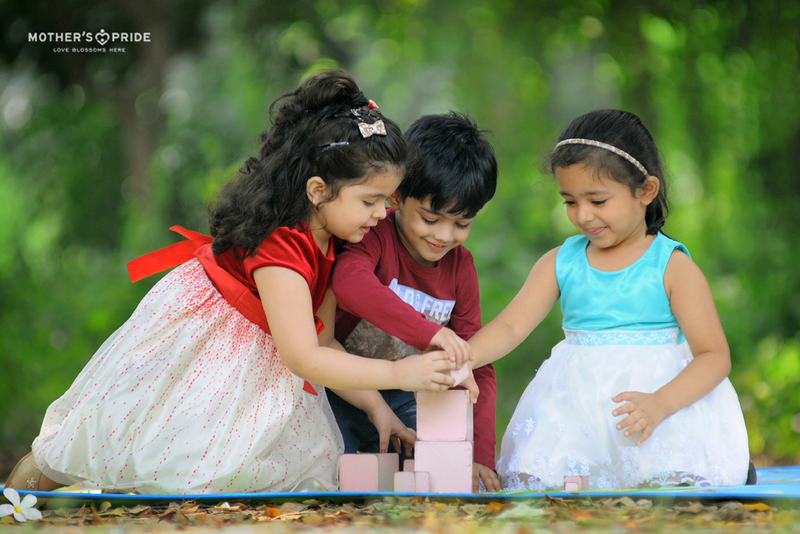 We believe that building a connect with nature at this age will go a long way in ensuring a sustainable environment. Thus, they often go for nature walks where they learn about the nature and also participate in tree plantation drives. Each child has inborn creativity. All we need to do is give them encouragement and opportunities for free play, particularly dramatic and constructive play which will foster creativity in them. We provide children with a stimulating environment where they can discover their talents like dancing, art and craft, music, clay moulding etc. Aesthetic Appreciation is a form of development wherein children are encouraged to appreciate their surroundings and also verbalise their appreciation about whatever they like around them. This way a positive energy can be channelised in them, which can help them in their future endeavours. ‘In every work of art, the artist himself is present’. Art is one of the best ways to explore the inborn creativity of the little minds. We organise many art and craft activities for the students wherein they bring out their most creative sides. A few of them include: Drawing, Colouring, Paper Folding and Clay Moulding. 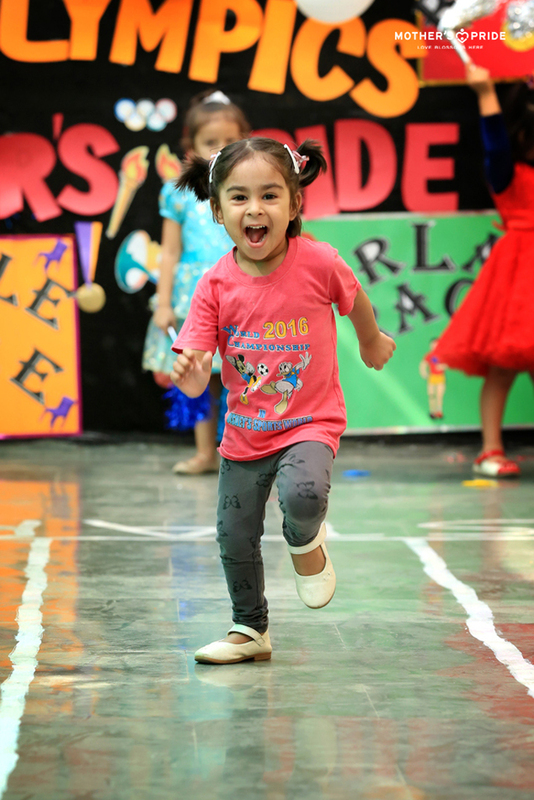 To let the children feel free to express through body movements and expressions, they are indulged in dance & music sessions. Rhythmic movement such as foot stamping, finger clicking, etc, also help the children loosen up and become more free with their movements. Every child is a dreamer with his/her own world full of imaginations and wonder. We know the value of these imaginations as it is one of the best ways to enhance creative development. During free play, in the Doll house, the little ones create their own stories as to how they want their life to be or how to address a particular situation they are put in. They effectively learning about the 5Ws and 1H through diverse fun activities. Each day is planned so as to reflect a balance of individual and group activities, outdoor and indoor activities, active and quiet activities, free and structured / guided activities and activities to foster all aspects of development. 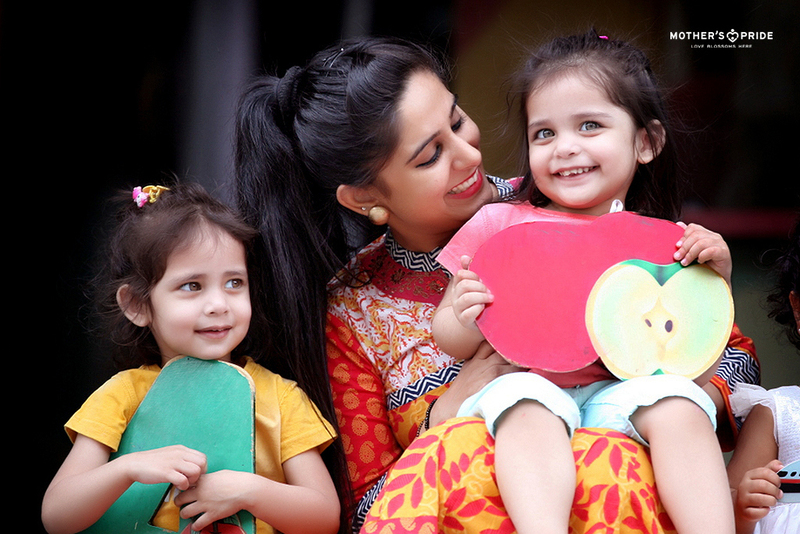 On the whole, our aim at Mother’s Pride, is to blossom a child's personality by making the most of the formative years in an ideal learning environment.